Allah has made obscenities unlawful. Did Prophet Muhammad use curses and profanity? Some non-Muslims say he did and some Muslim preachers use vulgar insults against people. The Messenger of Allah did not swear, cuss, use profane language, curse others, or spread obscenity. Rather, he warned us about such language and he counseled us to uphold the integrity and dignity of the believer by avoiding such behavior. It is not befitting the truthful that they curse others. Your duty is to be gentle and beware of harshness and bad words. What is wrong with him? His forehead be dusted! 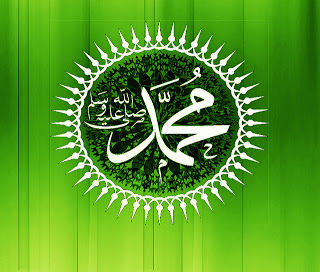 The Prophet, peace and blessings be upon him, was never obscene, nor would he spread obscenity. The believer does not taunt others, he does not curse others, he does not use profanity, and he does not abuse others. One of the purposes of fasting the month of Ramadan is to train the believers not to indulge in such vile language. When one of you awakes in the morning for fasting, then he should not use obscene language or behave ignorantly. If anyone slanders him or tries to argue with him, he should say twice: Indeed, I am fasting. If a Muslim curses others and those people respond with further curses, then Allah will hold that Muslim responsible because he initiated the abuse. Verily, one of the worst sins is that a man curses his own parents. He abuses the father of another man and then that man abuses his father and mother. It is not permissible to curse even the false idols whom the unbelievers hold as sacred because it will cause them to curse Islam. Do not insult those they whom they call upon besides Allah, lest they insult Allah in enmity without knowledge. Instead, Muslims have been commanded to call people to Islam with beautiful preaching and wisdom. Call to the way of your Lord with wisdom and good instruction, and argue with them in a way that is best. Those who curse others are in fact cursing themselves, because such curses earn the displeasure of Allah. Verily, the servant may speak a single word for which he descends into the Hellfire farther than the distance between East and West. Therefore, a Muslim should never use foul language or profanity. Such language is hated by Allah and it causes people to hate Islam. 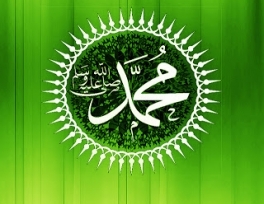 A Muslim must always use dignified language, especially if he is inviting people to accept Islam or educating them about Islam.